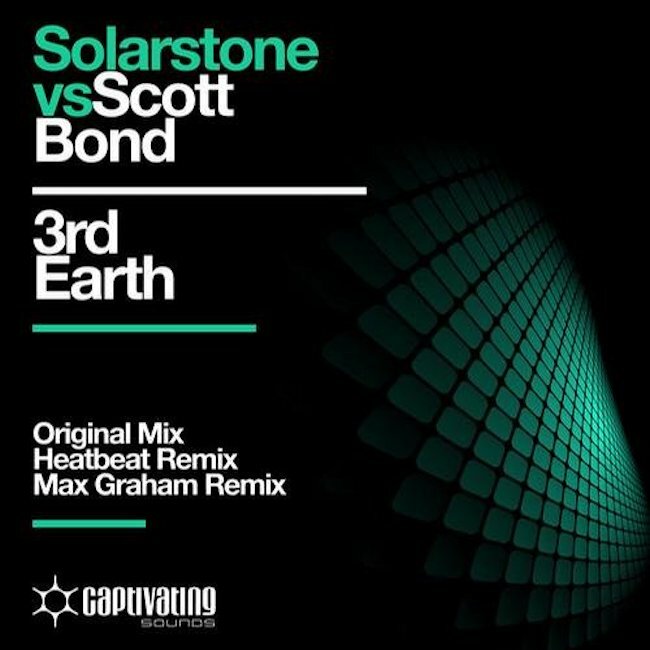 Solarstone vs Scott Bond - 3rd Earth (Remixes) - Solarstone. Solarstone & Scott Bond’s ‘3rd Earth’ has ever left a spark upon the dance floor. Standing the test of time for over 8 years, it has grown into one of trance’s biggest classics. As we head for its 9 year anniversary, it’s time to celebrate with a set of brand new remixes, by Max Graham and Heatbeat! Richard Mowatt and Scott Bond, two UK producers that have helped shaping the trance scene into the massive scene it is today. Responsible for a range of legendary classics, it’s their collaborative ‘3rd Earth’ that truly stands out in the legacy of trance. This remix pack doesn’t only include the remixes by Max Graham and Heatbeat, but also the Re-mastered original, sounding just as powerful as the first time you’ve heard it. Canada’s Max Graham, no stranger to classics himself, brings out the deep, warm and melodic side of ‘3rd Earth’, giving it a proggy treatment without losing its trancy character. Argentinean duo Heatbeat have the reputation to light things up, and so they do with ‘3rd Earth’. A bulky, big-bassed remix with strong synth-works is the result.